The Optimum ThermoCook was tested by CHOICE in 2016. 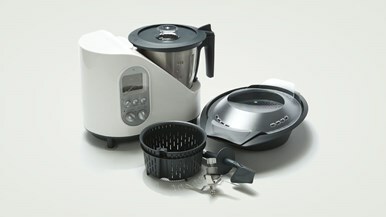 Other safety features  The unit will not operate if the bowl is not securely added to the main unit.  Recommended not to use above speed 4 when using the mixing tool or kneading tool.  If unit left idle for 10minutes after preset program completion, machine will turn off automatically.